The Road Haulage Association and BVRLA (British Vehicle Rental and Leasing Association) are the latest bodies to come out in favour of a scrappage scheme and join the growing lobby. 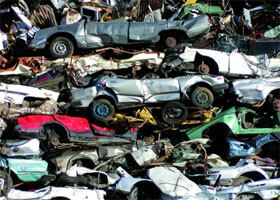 So why is the prospect of a scrappage scheme so popular and will it really bring the benefits hoped for by so many? It appears from reports that similar policies are proving very successful around Europe especially in Germany. But can we really take the German example and graft it onto the UK car market? The scrappage scheme in Germany did well mainly because most people in Germany actually drive German cars and a major proportion of the workforce work in the motor industry in some capacity. It is therefore much more important to the German economy to continue making cars for the local market and increasing exports and therefore a much easier scheme to sell to the government. German cars are arguably the best made, best looking and best value, BMW, Mercedes, VW, Audi, Porsche are all world renowned brands producing huge numbers worldwide and almost any idea aimed at keeping these giants fully operational would be fully embraced over there. That said, there has also been criticism of the German scheme in that it has actually skewed the new car market in favour of smaller, cheaper cars and as a result German premium car makers have suffered. So why the reluctance over here? 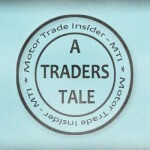 Well at MTI we have attempted to give a balanced view, and indeed on the face of it apart from freeing up credit lines to car dealers and their customers, nobody has yet come up with a better idea to stimulate the motor industry in this country. Giving owners of older more ”dirtier” cars a reported £2,000 towards the purchase of a new car, on the face of it seems an easy way of jump starting the production of new cars, getting workers back on the production lines and customers in the showrooms. 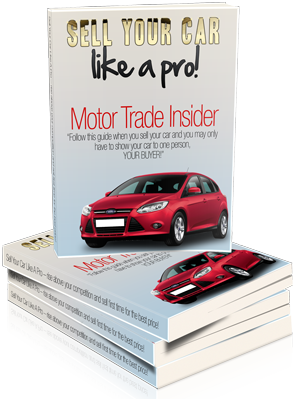 The problem is that generally drivers who own this type of car would not normally be the kind who trade up to brand new be it from a financial point of view or lifestyle choice. The truth is large numbers of people only think of cars as a way of getting from a to b and would be horrified at the thought of spending more than £10,000 on a new car. Secondly if the ”allowance” were to be used to form the basis of a deposit for a finance package and lending conditions remain as restrictive as they are currently then surely many of these customers will find it difficult to obtain credit anyway. On the other hand, according to some dealers, a large deposit is certainly less risk for a lender than someone putting down a few hundred pounds and leaving the lender far more financially exposed if they have to re-possess. 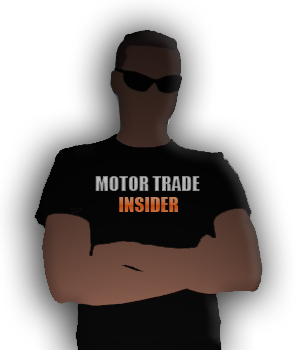 From a manufacturer and dealer point of view the opportunity to sell more cars and, better still, sell more finance to this type of customer will surely outweigh any negatives especially in the short term. As we are constantly informed the Earth is getting warmer (sorry, the climate is changing) so at the very least a scrappage scheme may lead to more ‘cleaner’ cars on our streets, and until someone can present a better solution why not give it a go? There is, however, with this present governments track record, a very real danger that were a scrappage scheme to be introduced we would end up with a watered down, cumbersome, bureaucratic waste of time that ends up not helping the environment or the motor industry in equal measure. Just more beurocratic crap again from a conning government i have a 2001 1,6 scenic good condition good family car bought with a bank loan 2and a half years ago .so you tell me if a allowance of £ 2000 will not go very far towards a newer mpv costing £ 10,000 upwards as i am not on a high income that is why i had to finance my car in the first place if this becomes compulsory i will end up paying a loan of on a car which i will be made to scrap. and still have no car because i won,t be able to afford to finance this sort of money. 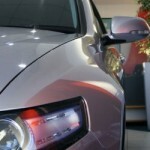 There has not been any thought of those of us on low incomes who cannot afford to buy a new car. if i could have done i would have got a loan for a new one two years ago. but can only get a loan up to a certain amount never for a new one though and any way banks are very reluctent to lend our money to us even though we bailed them out so they can pay themselves massive bonuses. This scheme will not work, the incentive is just not nearly enough. People that drive £1000 cars will not be stepping up to spen £15k on a new family car because their existing car has doubled in value. If the scheme does happen it will be the same old story of the government throwing a poorly aimed stack of money in the general direction of the problem and hoping for the best. There must be a better way. How about new car vouchers that can be earnt by cutting your family carbon emmissions by recycling correctly, proactively usuing less household energy and growing your own back yard produce? Families could be given the choice to be in the scheme and earn upto say £200 a month from the governemtn that can only be used to purchase low emmission cars. Basically incentivising people who are willing to put a bit of effort in to be rewarded with a shiny new Prius or similar every 7th year. I think a longer term view is needed, ecological issues look like they’re here to stay.